Lausanne (SUI), 6 November 2012 – Steve Guerdat (SUI), the newly-crowned Olympic champion, has taken over as World Number One on the Rolex Rankings list published today. With 2,525 points, Guerdat takes over from European champion Rolf-Göran Bengtsson (SWE), who drops down to fourth place (2378). Olympic team gold medallist Nick Skelton (GBR) is in second place, just three points ahead of Germany’s Christian Ahlmann. 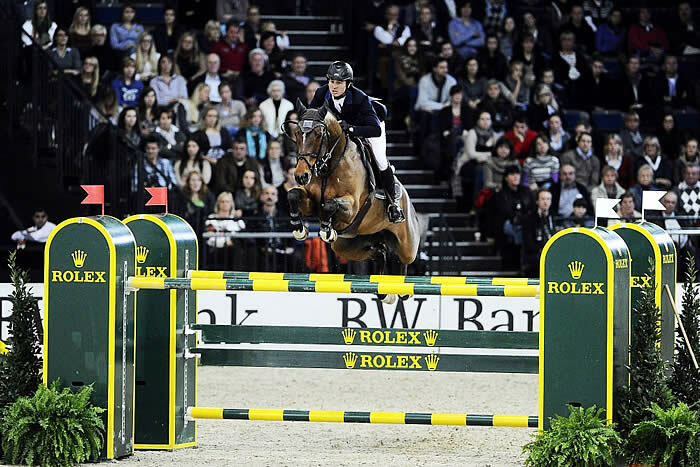 It has been a historic season for Guerdat, who turned 30 in June, and for Swiss equestrianism. Guerdat became the first Swiss rider to be crowned Olympic Jumping champion since 1928 when he steered the talented 11-year old Selle Français Nino des Buissonnets to individual gold at London 2012. In the last 12 months he has picked up Rolex Ranking points in no less than 89 competitions. This is Guerdat’s first time to be World Number One, but he follows in the footsteps of fellow countrymen Pius Schwizer, who remained at the top of the Rolex Rankings for 13 months from 1 February 2009 to 31 May 2010, and Markus Fuchs, who was the world’s leading rider from 1 June 2006 to 31 December 2007. The complete Rolex Rankings are available at this LINK.